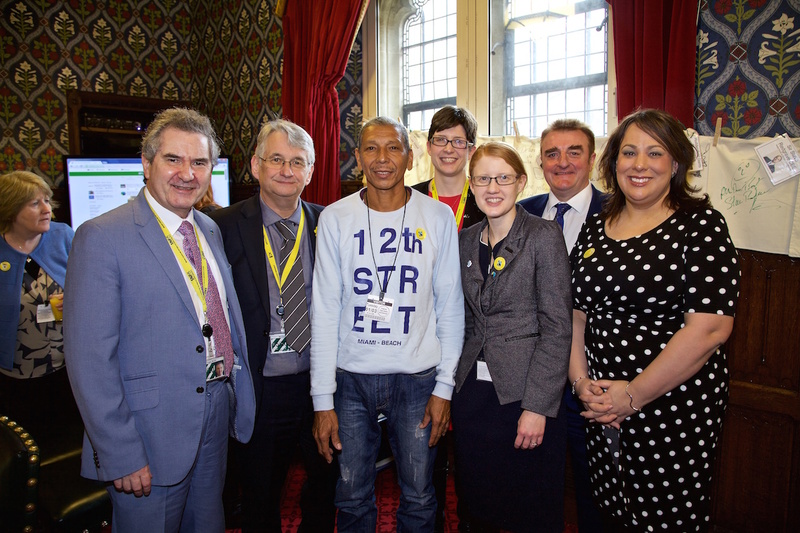 On 1st March Alison Thewliss, MP for Glasgow Central, attended the launch of the first All Party Parliamentary Group (APPG) on Fairtrade at a special breakfast event in Parliament for MPs to mark Fairtrade Fortnight (29 February-13 March). The event also heard from the International Development Minister Desmond Swayne, Co-Chairs of the APPG Holly Lynch MP and Jason McCartney MP, and two Fairtrade farmers, Julio Mercado Cantillo, a Colombian banana farmer and Patrick Kaberia Muthaura, a tea farmer from Kenya who have travelled to the UK for the campaign. Ms Thewliss also met campaigners and secondary school students from West Yorkshire, who are supporting this year’s Fairtrade Fortnight campaign which is highlighting the hunger faced by millions of farmers in developing countries who, despite working hard to grow some of the UK’s favourite foods, do not earn enough to know where their next meal is coming from. The event was also supported by UK retailer the Co-operative which provided breakfast refreshments and is doubling donations during Fairtrade Fortnight as part of its online growingstories.coop project which shares the experiences of farmers with the UK public. “Communities have always driven the Fairtrade movement, by using the pound in their pockets to make a positive change and by campaigning for better, fairer and more sustainable trade regimes enabling people to lift themselves out of poverty.